Ask a Physicist: Stop Calling it the "God Particle." Today, in likely anticipation of tomorrow’s Higgs announcement, I hike up my pants high and demand that people stop referring to the Higgs as the “God Particle.” Also, to bring back MacGyver. In case you missed it: Stop Calling it the God Particle. And, as always, if you have any questions about the universe, feel free to send them along!. This entry was posted in Uncategorized and tagged higgs, io9, physics. Bookmark the permalink. 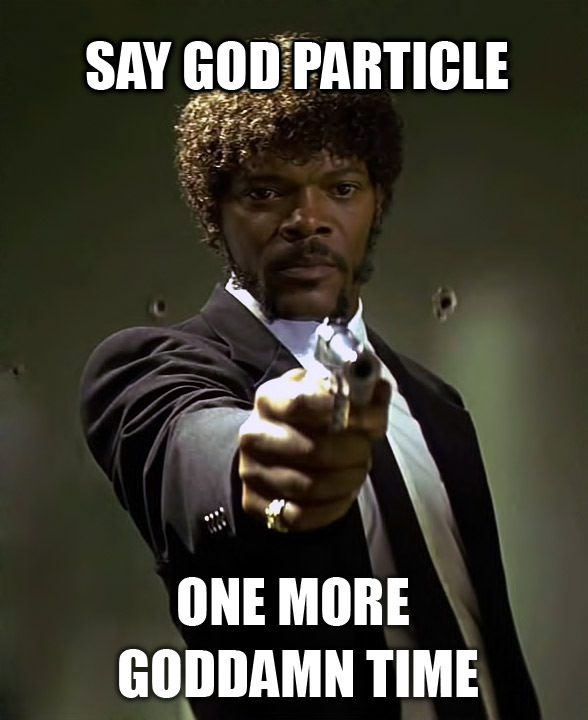 One Response to Ask a Physicist: Stop Calling it the "God Particle."